If you have ever been responsible for the upkeep of a car, you are aware that parts will inevitably wear out regardless of how well the vehicle is maintained – even for cars that may have an excellent reputation for reliability. Furthermore, there are certain parts of your car that are more critical for maintenance and operation than others. Upkeep of the power-train control module (PCM), engine control module (ECM), transmission control unit (TCU) or engine control unit (ECU), for example, is one of the most crucial elements involved in a car owner trying to extend the life of their vehicle. This is because car longevity depends on regular maintenance. Consistently monitoring the computer or computers in your car, which includes PCMs, ECMs, TCUs and ECUs, is a simple but highly effective solution for taking a proactive approach to maintaining your vehicle. Plus, this process can be applied to virtually any vehicle. So, don’t be discouraged if you notice things in your car starting to break down – this is normal and is to be expected. You should be aware that in almost all cases of wear & tear, it will be cheaper and easier for you to fix your car than to have to replace it. With this in mind, here are 5 recommendations from the experts at Solo Auto Electronics to help make your car run forever. 1. Follow your vehicle’s service schedule. 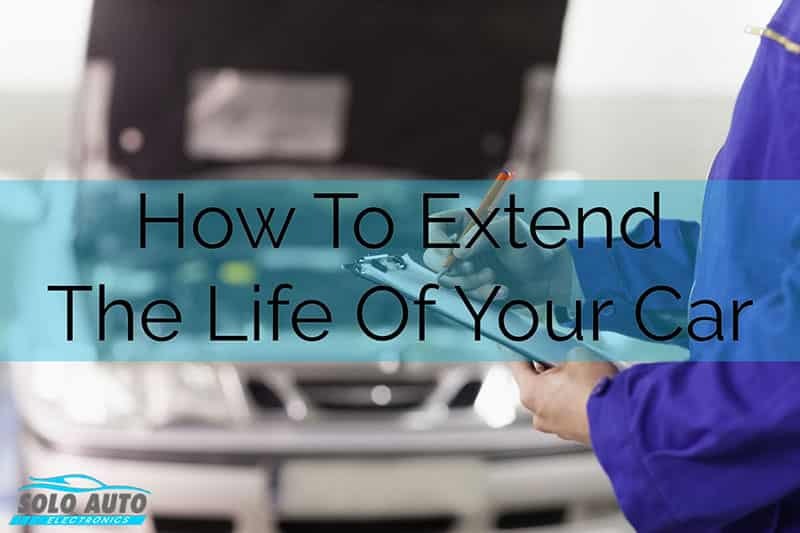 Regular maintenance of your car is crucial and is “the key to the automotive fountain of youth.” Your car’s manufacturer took a lot of time and effort to provide you with a specific outline for maintenance protocols related to your vehicle. You should follow these protocols to maximize the life of your car. 2. Check fluids & tire pressure regularly and listen for odd sounds. Nobody knows your car better than you do. But, even you may be unaware of certain issues associated with the life of your car that are difficult to notice or assess. If you can make it a habit to check your vehicle’s fluids and to constantly be aware of weird-sounding noises, you will be on your way to ensuring a long life for your car. 3. Pre and post-ride maintenance is crucial. We have all heard the myth about waiting a few moments after starting your car to let it warm up. Guess what? This is not a myth. A cold engine will have little to no oil left on the moving parts. So, if you take off in your car too soon after ignition, you are brutally grinding metal on metal. The experts as Solo Auto Electronics recommends waiting at least 30 seconds before putting your car in drive. Similarly, while you are driving, mostly everything your car drives over has the potential to get stuck to the underside of your vehicle. It won’t take much time, and is especially beneficial after driving during rainy or snowy conditions, to hose off road grime and winter salt when you are done driving for the day. Take it easy out there! A constant road raging attitude will most likely increase the chance of you getting in an accident and will most likely reduce the amount of time your car will last on the road. An added perk associated with safe and smart driving is that it could improve your fuel economy. 5. Upgrade your car’s auto computer system. Your onboard computer is the brain of your engine. Think about it, if the brain isn’t working properly, the entire system will fail to function correctly. If you are a vehicle owner who is currently unsatisfied with the performance of your car’s computer, or if you are looking to extend the life of your car while reducing the possibility of mechanical mishaps, you should contact Solo Auto Electronics to rebuild your auto computer – whether it be a PCM, ECU, ECM or TCU.